Join Pacific City for a beach clean up right here at home in Huntington Beach. The ocean is home to the majority of life on our planet, it’s being polluted & we can’t just take a back seat. 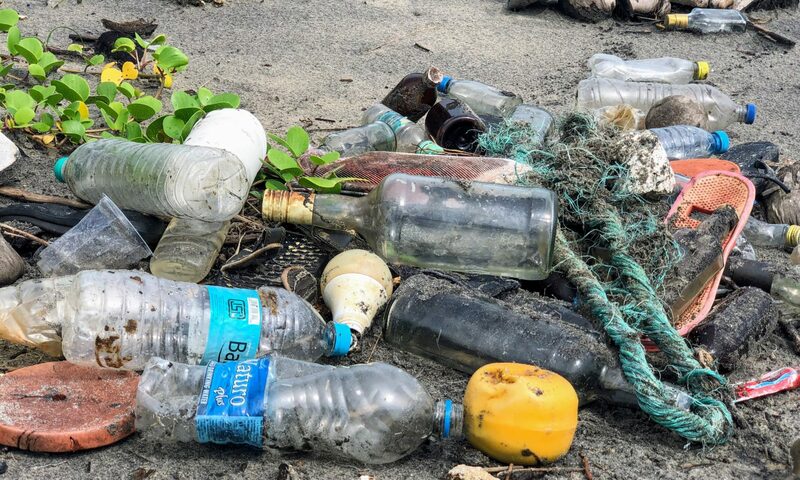 Join in the efforts this Earth Day to keep our coastline plastic free, learn why it’s important to avoid plastic and how plastics are making humans, animals and our environment sick. Join in discussions, yoga, enjoy guest speakers and team building activities all while working together to make this world a more beautiful place. -The 10:00 AM – 12:00 PM Coastal Cleanup is FREE, however, ALL participants must RSVP online in advance. -The 8:00 AM – 10:00 AM Yoga Social x Coconut Bowls Parfaits Party can be reserved for $25 donation. Includes beach yoga class through Sound Off headphones & a vegan coconut bowl parfait. The coconut bowl is yours to keep! Please bring your own yoga mat or beach towel, and reusable water bottle. This is a FREE event, however, all participants must RSVP to reserve their spot! This is a #PLASTICFREE event! We will be providing burlap bags for the pickup, and are encouraging NO plastic gloves, NO plastic bags, and NO plastic water bottles! Please bring your own reusable gloves or pick-up tools if you prefer not to get your paws dirty. Let’s take pride in being a #PlasticFree Cleanup! We recommend parking in the lot here at Pacific City. Receive 3 hours complimentary parking with validation from participating PC merchants. To join the conversation, take a splash on our Facebook event page HERE.